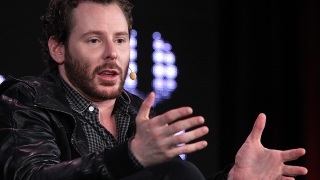 FILE - Tech entrepreneur Sean Parker speaks during the 2011 Web 2.0 Summit on Oct. 17, 2011, in San Francisco, Calif.
Napster founder and former president of Facebook Sean Parker on Wednesday shared that he believes the social media giant was designed with potentially addictive features that he believes exploit "a vulnerability in human psychology." While speaking with Axios, Parker said that the "thought process" held during the creation of Facebook was as follows: "How do we consume as much of your time and conscious attention as possible?" "And that means that we need to sort of give you a little dopamine hit every once in a while, because someone liked or commented on a photo or a post or whatever," Parker told Axios. "And that's going to get you to contribute more content, and that's going to get you, you know, more likes and comments." Parker called that process a "social-validation feedlack loop." "It's exactly the kind of thing that a hacker like myself would come up with because you're exploiting a vulnerability in human psychology," he told Axios. Parker said he and other founders of the now-ubiquitous social media platform knew what they doing and "did it anyway." NBC Bay Area has reached out to Facebook for comment. Flashing back to when Facebook was just getting going, Parker also said that even if people were against signing up at the beginning because they valued genuine and in-person human interaction, they would eventually cave. The shift to digital human interaction has most likely changed the way people operate, Parker believes. "It probably interferes with productivity in weird ways," Parker told Axios. "God only knows what it's doing to our children's brains."